LCFF is excited to continue to expand our ability to better serve our local businesses and build Community in Lake City. 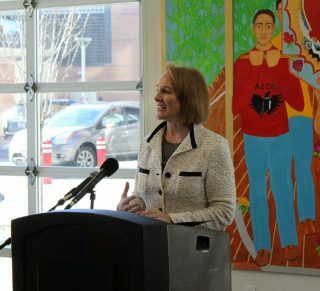 On February 12th Mayor Durkan announced the recipients of the 2018 Only in Seattle grant initiative. Lake City future first was one of several neighborhoods that received funding from this program through the Office of Economic Development. The grant will help to continue to support local small businesses, convene community and help to establish opportunities throughout the Lake City Community. For additional information on the grant and allocations please visit: Only In Seattle. Within the grant is $5,000 to help support outreach within our immigrant and refugee populations to build capacity to help ensure that the voices of our diverse Lake City are at the table. 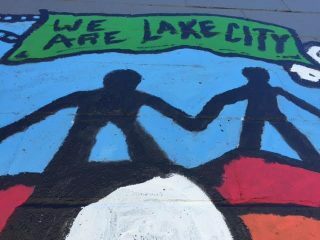 LCFF received $15,000 dollars from the City and private foundations to continue and expand the work of our Lake City youth and local artists mural projects. LCFF was able to secure office space on the LCW corridor just north of Elliott Bay Brewery to increase our presence and make information more available – Look for us to open sometime in March of 2018. LCFF also received funding from the “Put Arts in the Park” program to once again provide entertainment in our 125th Street Mini Park as well as Albert Davis Park this spring and summer. 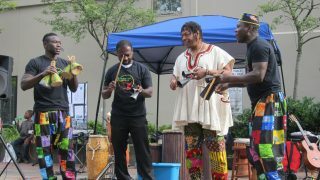 This program is funded through the Office of Arts and Culture and the Department of Parks and Recreation. LCFF is excited to be able to continue and improve our service within the community and are very proud of the investments being made in our work. There is much more on the horizon and we hope to share more good news soon. Thank you to all our partners and supporters and all those that live, work and recreate in Lake City.